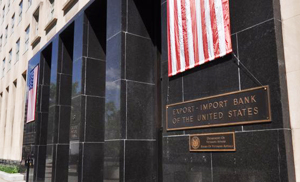 To most Americans, the words "Export-Import Bank" don't mean very much. The DC insiders, cozy with international corporate interests putting taxpayers on the hook for hundreds of billions of dollars in subsidies, want to keep it that way, too. The Export-Import Bank is big businesses' big-government bank backed by U.S. taxpayers. It sends huge amounts of assistance to foreign corporations, buyers, and companies that are hostile to our economic and security interests, but can afford armies of lobbyists to access easy financing backed by American taxpayers. Contrary to the values that keep America strong, safe and free, the Export-Import Bank has facilitated lending to governments in Congo and Sudan, countries with horrific human rights records. It has financed Chinese power plants and backed Russian billionaires buying luxury planes. And, it has provided lots and lots of financing to oil companies in Russia, Brazil, the United Arab Emirates and Saudi Arabia that compete directly with America's energy companies. For example, last year the Export-Import Bank was rebuked by a federal court for failing to fully consider that the support it sent to a state-owned Indian airline was undercutting Delta, putting up to 7,500 American jobs at risk. Similarly in 2013, Democrat Senators Amy Klobuchar, Al Franken, and Carl Levin sent a letter of concern to the Export-Import Bank's Chairman, noting that the Bank's subsidy of earth-moving equipment for an Australian mining company would hurt their American competitors in Michigan and Minnesota, ultimately leading to an estimated loss of over $1 billion in domestic sales of iron ore. The Export-Import Bank's supporters like to point to the small business activity it assists, but dollar for dollar the bulk of the bank's business is big. A 2011 paper by Cato Scholar Sallie James pointed out that in FY 2010 the top ten beneficiaries of Bank loans and guarantees — those with combined revenues of over $382 billion — received over 92% of those bank services. Besides, the business practices at the Export-Import Bank are markedly irresponsible. A 2012 report by the Bank's own Inspector General found that it lacks a systematic approach to managing its risk, with an alarming concentration of its risks in only a few industries, particularly the airline industry. According to the Bank's own annual reports, last year it could justify less than a third of its activity as dedicated to countering foreign competition, the core of the Bank's mission, and it could not account for its second-largest category of financial assistance, listing it as "unknown." What kind of bank doesn't understand its risks, doesn't follow its mission, and doesn't know where its money is going? This makes it unsurprising that there have been at least 74 cases of documented fraud at the Export-Import Bank since 2009. The Wall Street Journal reported in June that the bank "has suspended or removed four officials in recent months amid investigations into allegations of gifts and kickbacks, as well as attempts to steer federal contracts to favored companies." Ninety-eight percent of all U.S. exports are made without Export-Import financing. The government should not keep a special bank open for other the 2%, especially when the private sector could meet the need. Even though President Obama once said on the campaign trail in 2008 that the Export-Import Bank is "little more than a corporate welfare fund," Democrats in Washington have shown no serious willingness to abolish it. In fact, President Obama is requesting a $20 billion increase in the bank's lending authority — from $140 billion in 2014 to $160 billion by 2018. We should remember how President Franklin Delano Roosevelt created the Export-Import Bank — through executive fiat in 1934. If President Obama wanted to create a new Export-Import Bank today by executive order, most Republicans could be counted on to oppose it. They shouldn't reauthorize it today. The Export-Import Bank wasn't a good idea in 1934, and it isn't a good idea in 2014, either. The debate over keeping it open will be a telling one. Those siding with foreign corporations, lobbyists and crony politicians will be on one side. Those fighting for the values and interests of American workers will be on the other.